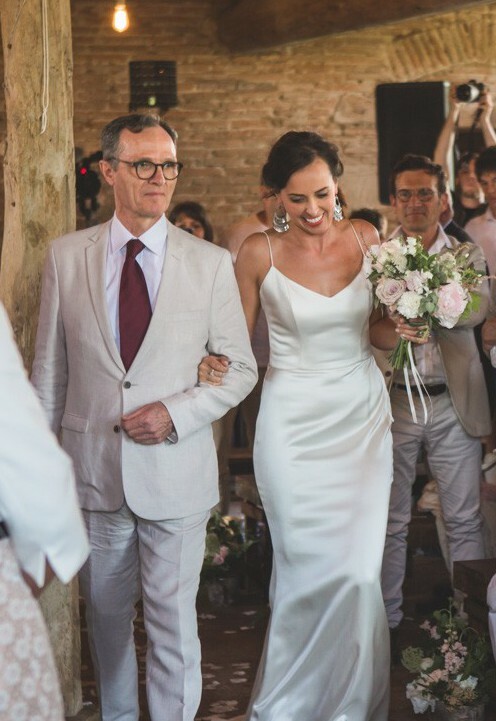 This beautiful Emma Hunt Maisie dress was purchased brand new and worn on my wedding day. I made some alterations / personalisations (see below) and there are some darker areas at the end of the train from my wedding night. Other than that it is in excellent condition. Purchase receipt is available as well! Feel free to come over and try it on if you're interested! *ALTERATIONS* - The dress was altered from a UK size 12 to a UK size 10. - Belt has been removed. - Buttons were added along the back. *FLAWS* - Some darker areas under the train from my wedding day. Once you send a message, Marion can invite you to purchase the dress.